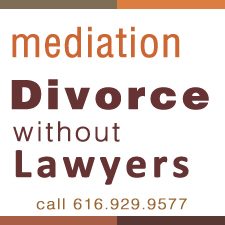 You have either initiated this mediation or your mediator has been appointed by the Court. The hourly rate of $ 175.00 per hour is one of the lower hourly rates in this area. Payment is expected at the time service is rendered. There will be fees incurred for failure to attend as scheduled. If rescheduling is needed, please do so at least two business days prior to the meeting. One hour of time is free to all clients. Some use this in an initial meeting, some prefer to use the time in document review and preparation. Payable at time of the meeting. Paid by non compliant person unless court order differs. To avoid the fees for non-compliance, if any date is not workable for you, please contact the mediator two business days prior to the set time. Payment will be accepted in cash, check or money orders, credit cards can be accepted. Non-payment will be addressed with the court that issued the mediation order. To reduce your fees, be sure to complete the intake forms before the mediation session. The forms may appear to ask for unnecessary information, but a few minutes of your time on those forms can save costs in mediation fees. As stated, no charges incurred for document review or calls up to one hour, thereafter hourly rate applies. Come prepared with real estate valuations, bank statements, pay stubs, 401(k) statements, tax returns, medical information, etc., if appropriate.